Wise Company Preparedness Medicinal Heirloom Seed Bucket | BUDK.com - Knives & Swords At The Lowest Prices! Also great gift for gardeners, holistic proponents, etc. In an apocalyptic emergency pharmacies will likely be looted, and once they’re emptied, what will you do if you’re sick? 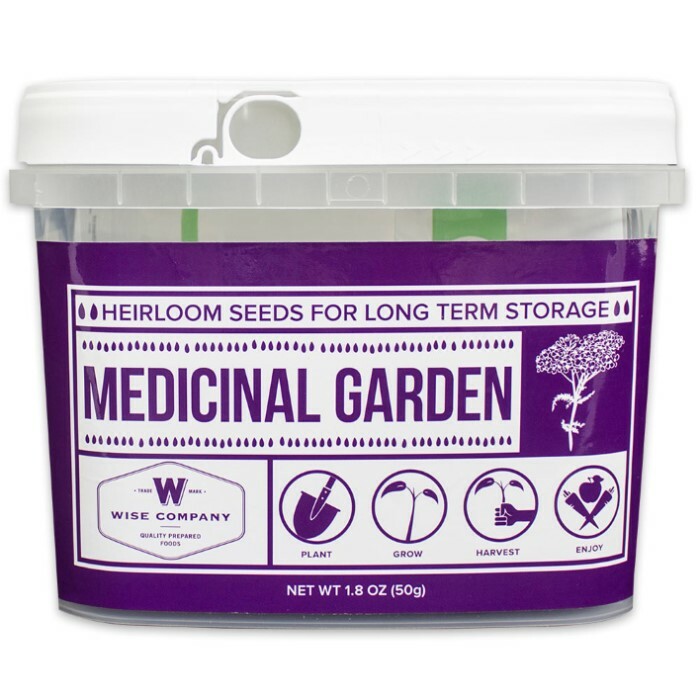 Do what your ancestors did - look to nature; thankfully, it’s easy with the Medicinal Heirloom Seed Bucket from emergency prep supply The Wise Company. This essential preparedness kit is designed to help people meet their health needs in hard times. 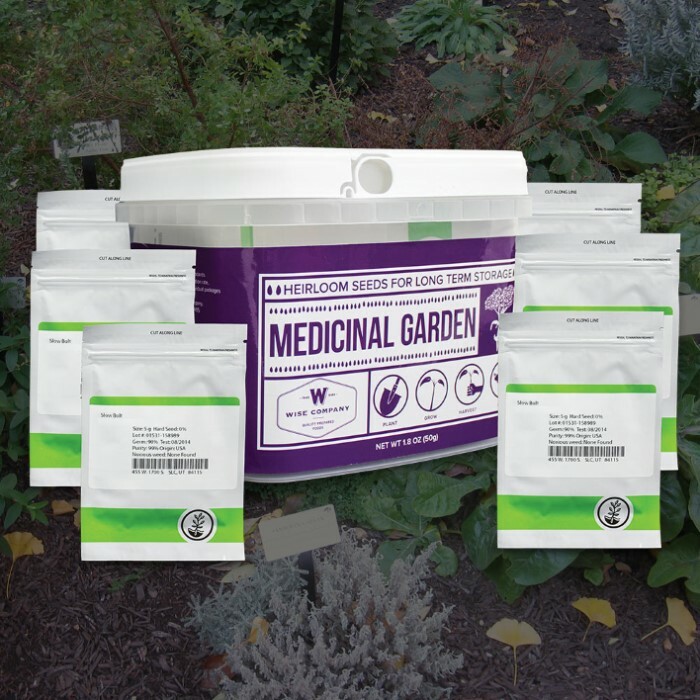 Each Mini-Ropak bucket contains 10 medicinal herb seed varieties that have been packaged for long-term storage. Because they’re non-hybrid, seeds may be harvested at the end of each growing season and then used for the next year’s planting. All seeds are non-GMO and have not been treated with potentially harmful chemicals. The 10 resealable seed packets are enclosed in an airproof, waterproof bucket and will keep up to four years if stored at 66 to 70 degrees and much longer if stored colder. The Wise Medicinal Seed Bucket is a must-have source of natural medicines and nutrients for every emergency storage pantry. It also makes a perfect gift for gardeners, anyone who enjoys herbs, natural medicine proponents, etc. Comes with Quick-Start Grow Guide. Varieties are: Borage, 229 seeds; Calendula, 617; Cayenne, 705; Dandelion, 7,937; Echinacea, 1,940; Fenugreek, 317; Hyssop, 3,351; Lemon Balm, 7,231; Lovage, 1,764; and Yarrow, 3,527.